Our site offers you the right tools for your new home. 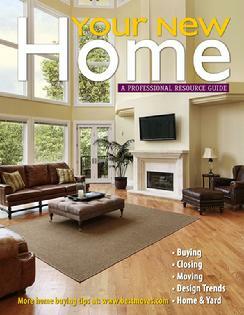 It�s too bad that homes don�t come with an owner�s manual. If they did, they�d cover the information you find in Your New Home. This professional resource guide is packed with advice for successfully buying a home, from mortgage application thru closing, plus advice on moving, interior design, and help for your home and yard. If you�re in the market for a new home, this is a great resource to read for ideas and advice to make sure you protect your investment. you need for your new home. let us know by clicking on contact us. to all of your social bookmarking sites automatically.